With magnificent sunsets, white sand beaches and translucent waters, earthly woodlands, rainforests and mountains – New Caledonia is a place that allures travellers for both its vast natural beauty as well as its warm hospitality and unique culture. The unique blend of a tropical paradise with luxurious hotels, French cuisine and culture make it the perfect destination for a romantic escape. 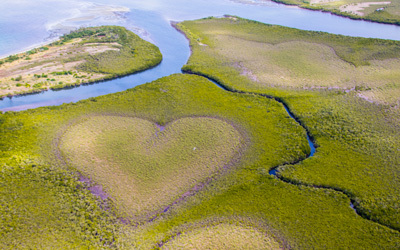 Whether you’re seeking new experiences to enjoy with your partner or simply a beautiful place to reconnect, there truly is something for everyone in New Caledonia. For this year’s ‘The Bachelor Australia’ finale, Nick jetted off with the last two contestants Brittany and Sophie, to the stunning French paradise in the South Pacific, New Caledonia where they stayed at the luxurious and remote Sheraton New Caledonia Deva Spa & Golf Resort. With views over the UNESCO World Heritage-listed barrier reef on one side; beachfront bungalows; magnificent sunsets; picturesque beaches; epic dates and a unique blend of French and Melanesian culture… New Caledonia is the perfect destination for a romantic escape. Hand-in-hand strolling along a white sandy beach at sunset or adventurous break including adrenaline activities together? 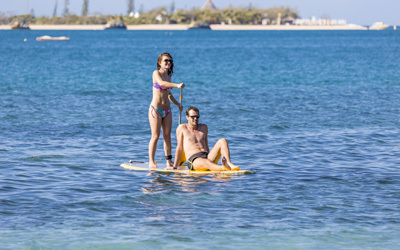 New Caledonia has a lot to offer for couples, old and new, looking at a nice little getaway. Get inspired and build your very own “New Cal date”. 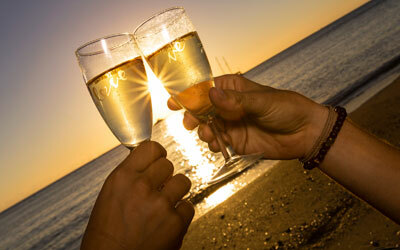 New Caledonia is the perfect place to celebrate your love, no matter what that might mean to you! The food, arts and culture of France is there, plus there are heaps of great island activities to enjoy. Looking for that perfect selfie spot that will up your Instagram game? Or do you need to find THE place to propose to your loved one? We have done all the research for you and selected 5 amazing spots around New Cal that will possibly get you a ‘Yes” and surely get you a ‘WOW’!